Hogs of War is a turn-based tactics game where players take turns controlling individual members of their squad of hogs to engage in combat with the opposition, similar to Worms. Each turn, a player takes control of a single squad member in a third-person perspective to move around the map, including jumping over terrain and swimming over bodies of water, yet can only engage in combat when stationary. Each turn has a set time limit and ends if the timer counts down to zero, the player skips their turn, a weapon or ability is used or if they have accidentally injured themselves such as walking into a mine field or falling from a high surface. Other hazards include bodies of water that, while they can be swam in, is damaging to nearly all types of soldiers and drains health as they swim. If a teammate is knocked into water by an opponent, they will automatically swim to the nearby shore line. While difficult, it is also possible to knock hogs off the map resulting in instant death. If all health is gone and the player is on land, they will fall over with a last comical remark before exploding. 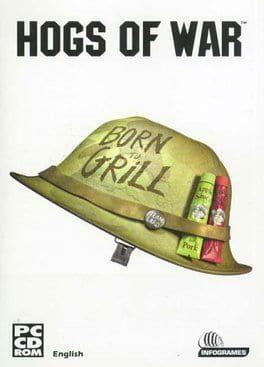 Hogs of War is available from 5.69 to 5.69 from 1 shops.